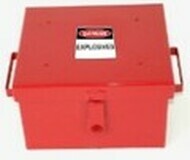 Ideal Blasting Supply supports all law enforcement and military operations related to explosives. We are on the fore front of technology bringing new products to help keep you safe! Make sure to check back often to see what we have added. 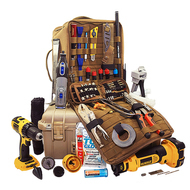 Ideal Blasting makes unique Tool Kits not found anywhere else. 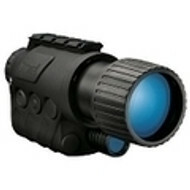 Ideal also carries a full line of Pan Disrupter and accessories to help disarm potential threats. Some of our Hand Tools are made of non-sparking materials such as bronze, brass or ceramic. Basic electronic gear, such as continuity testers and multimeters, assist the tech with electrical circuit analysis. Dual Initiators are used for door breaching. Blasting machines are designed to safely initiate explosives for IED removal. We support CBRNE threat nuetralization with various products listed below. 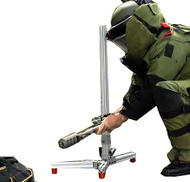 EOD Technicians Kits for Bomb Squads, SWAT, Law Enforcement and Military Hazardous Devices Technicians.